In a big pot, heat the olive oil over medium low heat. Add the onions and garlic, and cook until the onions are translucent (about 3-5 minutes). 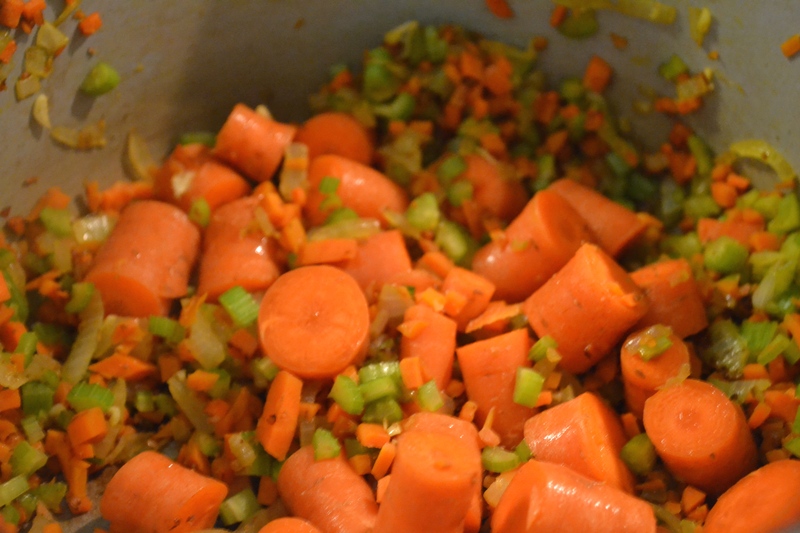 Add the finely diced carrots and celery to the pot. Cook and stir the mixture occasionally to keep it from burning. Add 1 tsp salt to the mixture. This mixture should cook down until all the components start to soften (about 10-15 minutes). 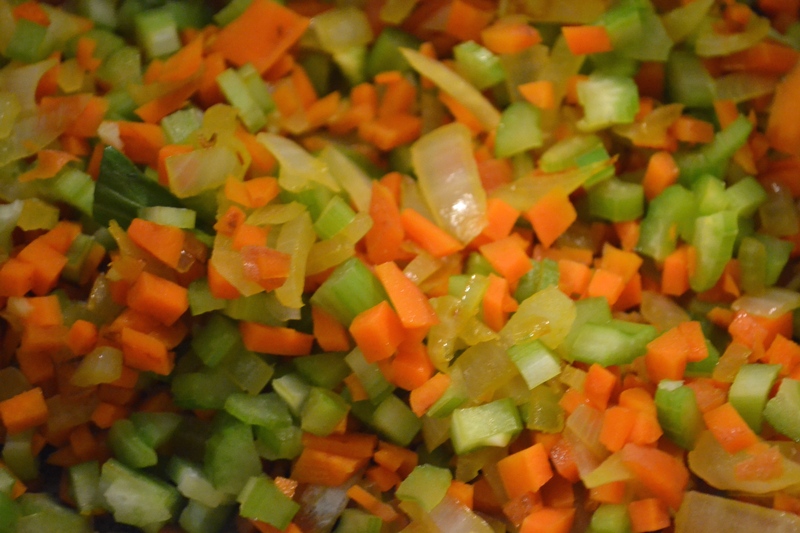 This is what’s known as a soffritto (a cooked down mixture of onions, carrots, celery and garlic used as a flavor-base in many dishes). Next, add the roughly chopped carrots and ground coriander to the pot. Allow them to cook with the mixture for a few minutes allowing the edges of the cut carrots to take on some of the flavor of the soffritto and the coriander. Next, add the water and bring the pot to a boil. Once it starts to boil, turn the heat down to a simmer. (Simmer for another 5 minutes. Add the coconut cream on low heat. Add the salt and pepper to taste. Turn the heat off. Take an immersion blender and blend the soup. Or place the mixture in a blender. Serve hot with cilantro as garnish. Makes 4 servings. 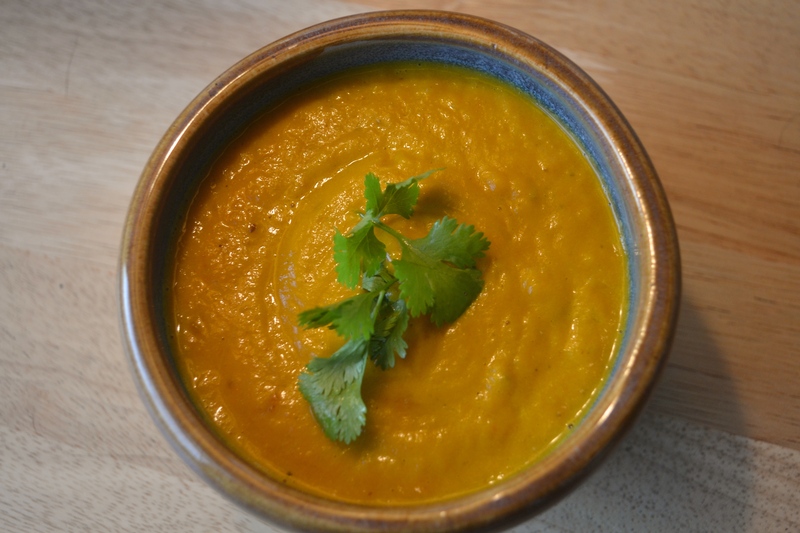 This entry was posted in Dairy Free, Gluten Free, Recipes, Vegetarian and tagged carrot, carrot soup, creamy soup, dairy free, gluten free, paleo, soup, vegetarian. Bookmark the permalink. This soup sounds gorgeous! 🙂 I have made carrot soup with coconut before. The combination of carrot and coconut works really well. Thank you!!! 🙂 It surprised me that carrot and coconut go so well together because I was just trying to use up whatever I had in the fridge. I’d love to hear if you have any tips for carrot soup from your experience. 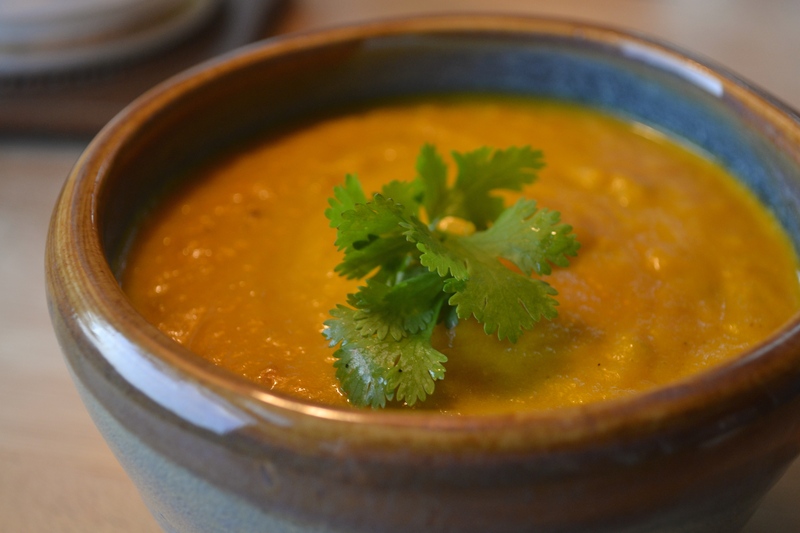 I also really liked how good carrot and coriander tasted together.